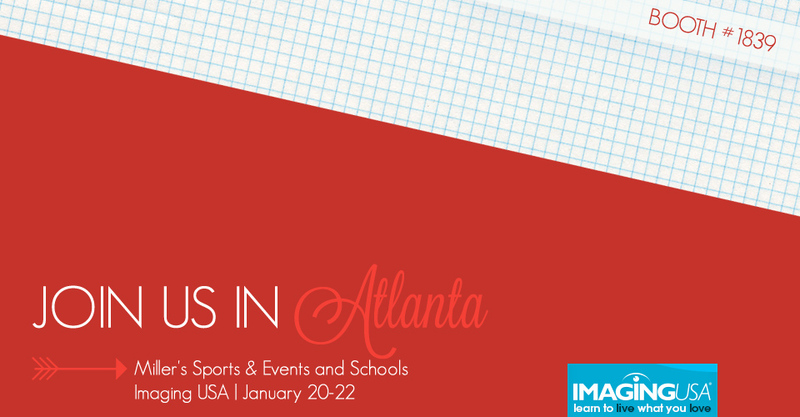 Miller’s Sports & Events and Schools division will be making the trip to Atlanta for Imaging USA this year. Conventions like this give us a chance to talk to our valued customers, and we look forward to talking with you about what’s coming in 2013. Will you be in Atlanta this year? Please stop by booth 1839 to introduce yourself and share your experience with us. Learning from and listening to you is how we become the best partner in printing we can be. Plus, get information on our new and FREE Mac-friendly Remote Suite Plus Schools software and have questions answered from our experienced Sports & Events and Schools staff. We are thrilled to present an expert speaker team who will share their knowledge on topics specific to this category. Get a glimpse of our booth speaking schedule below so you can make the most of your Expo experience. You won’t want to miss this! Great way to add income to your existing portrait business. To find out more about our services, visit the Sports & Events overview or Schools overview.